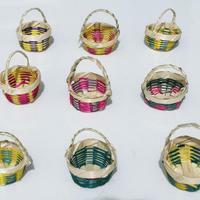 Mini baskets handwoven of straw. 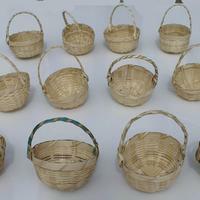 Height 7.5 cm, diameter 6 cm. 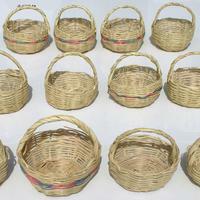 Handwoven baskets of straw, full height 14 cm and diameter 12.5 cm.